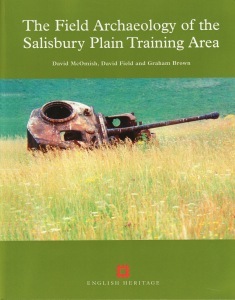 The Salisbury Plain Training Area has been in military ownership since the late 19th Century. As a consequence the area has not suffered the agricultural 'improvements' or urban developments that characterise so much of the English countryside today. It remains the largest tact of unimproved chalk downland in north-west Europe, much of it now scheduled as an ancient monument in recognition of its rich archaeological landscape, and is unparalleled anywhere else in England. The archaeology bears witness to a number of major changes in land use. While extensive Bronze Age barrow cemeteries lie on the slopes of the downs, vast carpets of 'Celtic' fields were laid out in the same areas, and this agricultural landscape was in turn, superseded by one with an extensive system of territorial divisions - the linear boundaries. Perhaps the most remarkable survivals, however, are the eleven Romano-British villages that have been identified and surveyed. These are impressive sites in their own right but it is the aerial and chronological completeness of this archaeological landscape that makes it so important, for it is actually possible to trace the ancient landscape from one village to another. Not since the work of the 19th-century antiquarians, Sir Richard Colt Hoare and William Cunnington, has the area had such detailed analysis. Using a combination of survey techniques, this volume traces human influence on the landscape from prehistoric times to the recent military activities, and presents a synthesis of the results of recent fieldwork.